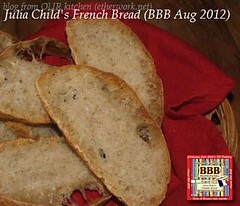 To honor Julia Child's 100th birthday, the BBBabes decided to post about the August bread one day early to coincide with Julia Child's birthday on 15 August. 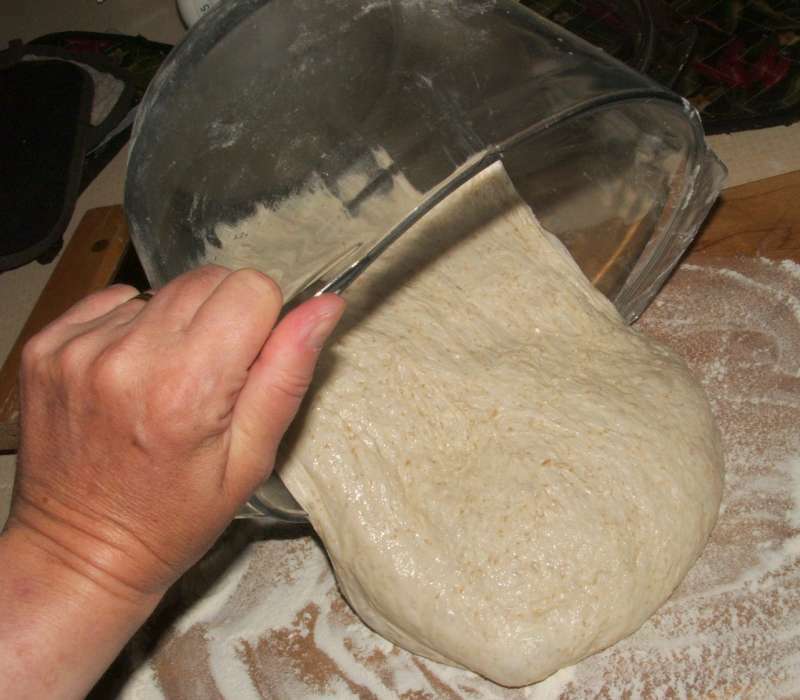 The chosen recipe for French Bread in "Mastering the Art of French Cooking: Volume 2" by Julia Child and Simone Beck. 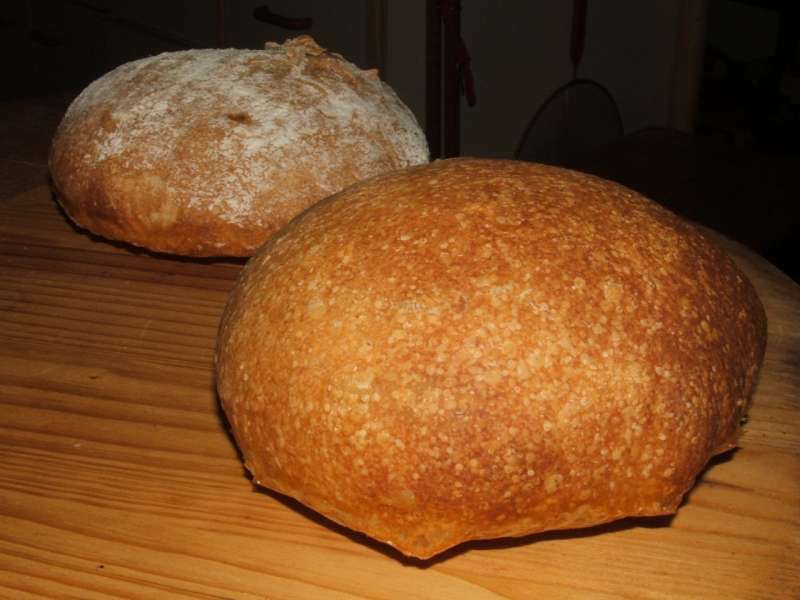 Both of these loaves were roughly the same size when shaped. 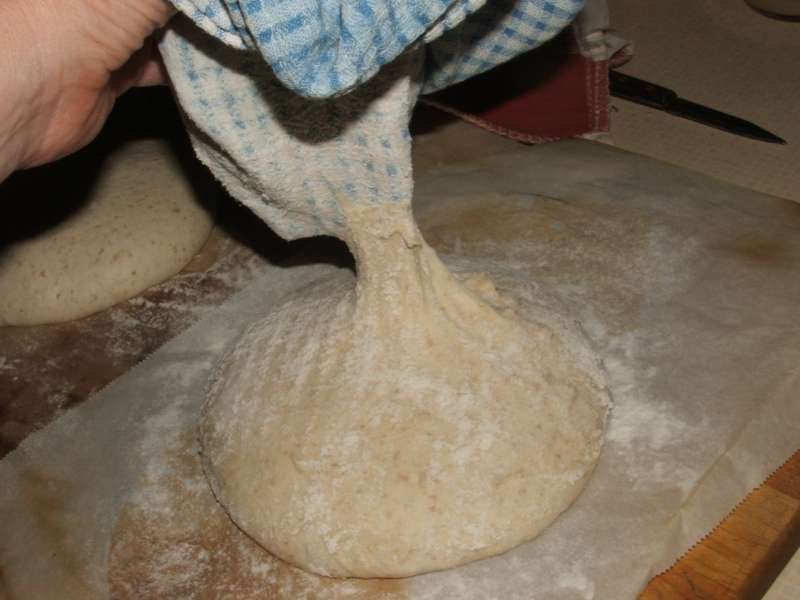 This flatter one was proofed upside-down on a well-floured tea towel before being flipped over to bake. The great thing was that each one was light as a feather coming out of the oven. 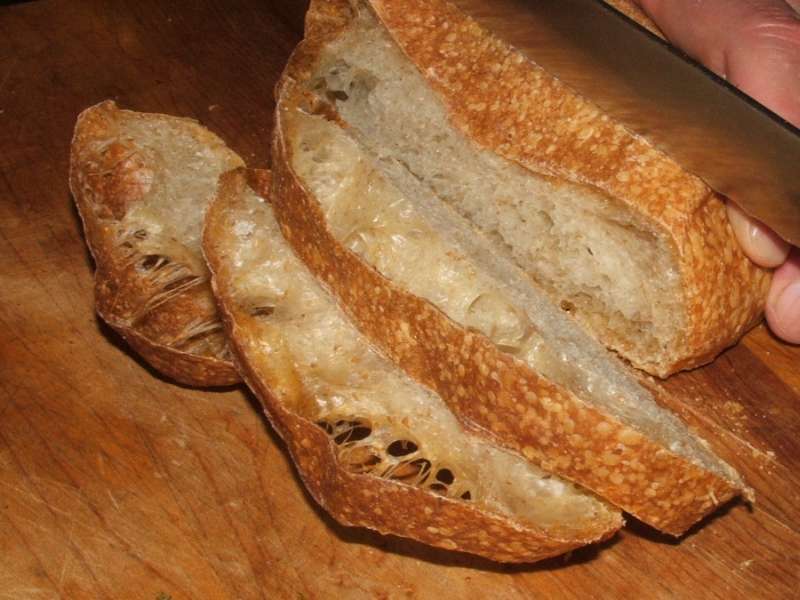 Perfect bread if you don't look too closely. 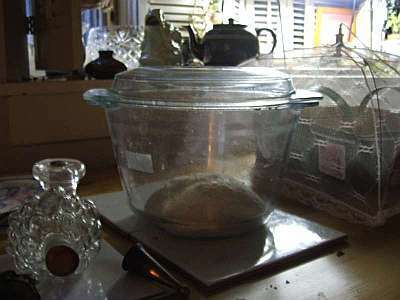 Julia Child suggests marking the bowl to show where the dough will be when it as risen to 3.5 times the volume. How handy it is that our mixing bowl is clear. 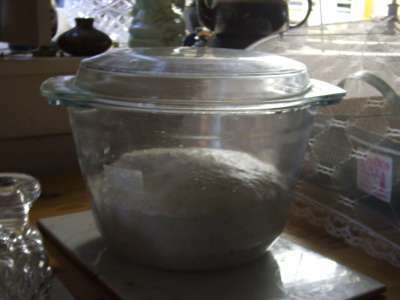 After its first rise was completed the dough was folded and allowed to almost reach the mark on the bowl again. At that point it was ready for shaping. 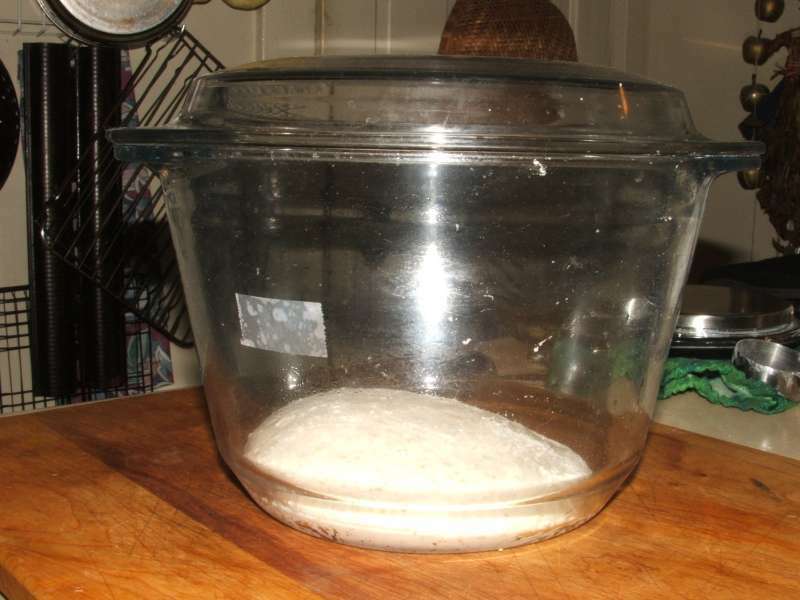 See how it pulls away easily from the sides of the bowl, demonstrating that there is no need to oil the rising bowl. I shaped two rounds. 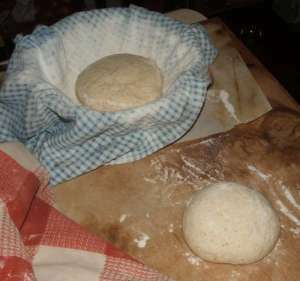 One was placed seam side down on parchment paper (parchment paper can be re-used at least 3 times) and the other placed seam side up in a well-floured tea towel lined basket. Well. 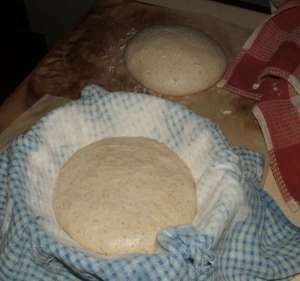 Perhaps it wasn't quite as well-floured as I thought.... Also, I may have allowed the loaves to rise a little too much. I was afraid to slash them, thinking that would surely cause more deflation. 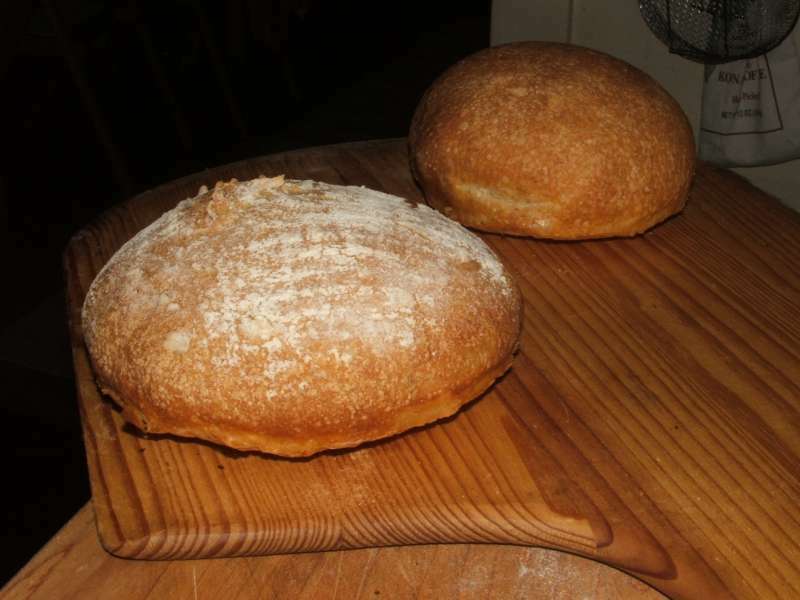 In spite of the mistake, the resulting bread was fabulous. Just look at that gorgeous crumb! Here it is sliced and ready for serving. 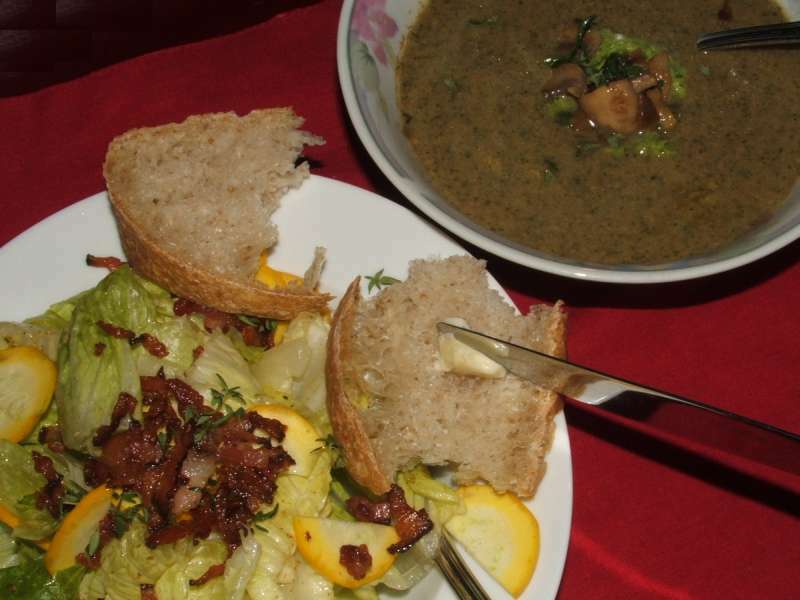 We served the bread with mushroom soup and pistou and a Romaine and yellow zucchini salad dressed with bacon, fresh thyme leaves and a simple vinaigrette. All were brilliant. 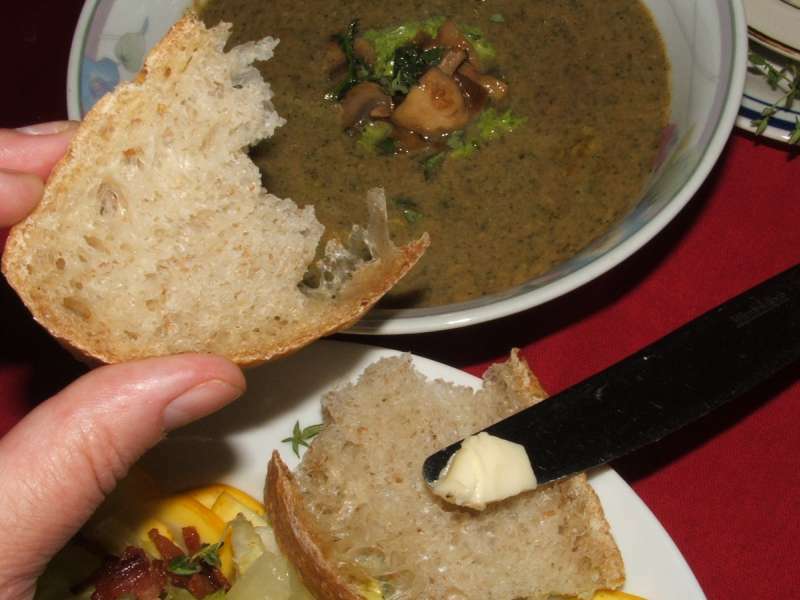 This bread was especially brilliant. 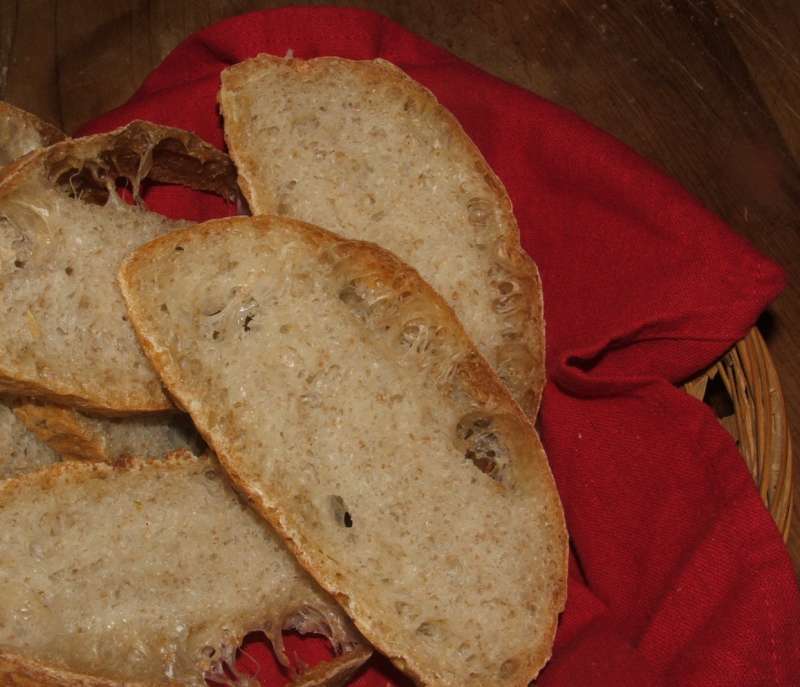 Crispy on the outside and wonderfully springy and light on the inside. With thanks to Julia Child! What a great legacy she left to us. 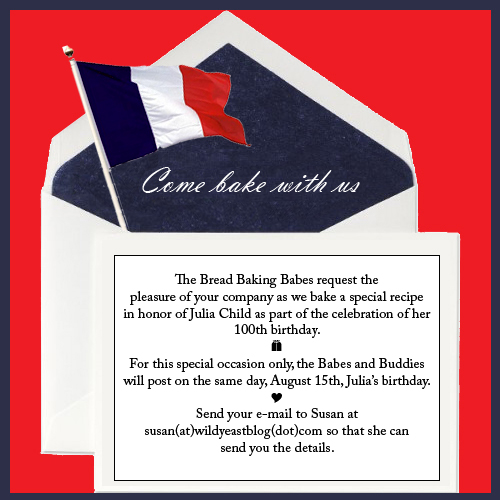 Here is the invitation that we sent out asking all to join us in celebrating Julia Child's 100th birthday. For this special occasion only, the Babes and Buddies will post on the same day, August 15th, Julia's birthday. Send your e-mail to Susan at susan(at)wildyeastblog(dot)com so she can send you the details.